Best Medicine Rep Theater brings new comedies — and only comedies — to audiences seeking a healthy dose of laughter. “Philosophus,” the company’s latest production, runs throughout most of February at an unlikely but convenient location: the second floor of Lakeforest Mall in Gaithersburg. That’s no joke. 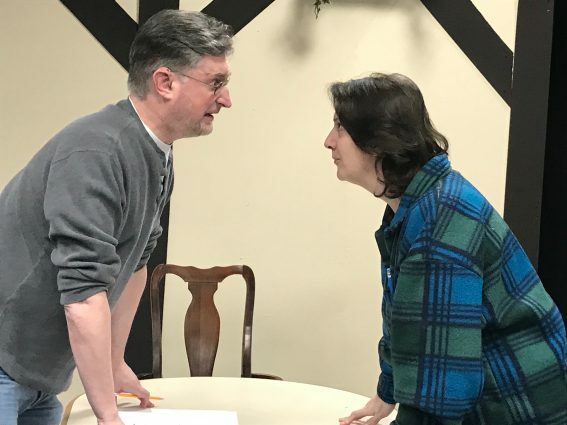 The venue is not the only unlikely twist in “Philosophus,” as we learned during a recent chat with the show’s creators: Best Medicine’s Artistic Director and actor John Morogiello, playwright Colin Speer Crowley and director Stan Levin. We even got a few serious answers out of them. Is the show a comedy, a drama, or both? Morogiello: Comedy 100 percent. Drama 0 percent. Morogiello: “Philosophus” is the Latin word for “philosopher.” It sounds brainy and pretentious. And when you tell people that the show is about the 18th century philosopher Voltaire, it sounds even worse. But nothing could be further from the truth. The show is absolutely silly. Like Monty Python. It’s people in wigs shouting at each other in funny accents. How do you stay funny? Morogiello: I find stress and self-loathing to be particularly helpful. [But seriously], I never miss an opportunity to be silly. Do you ever rework a show once it begins? Morogiello: As a playwright myself, I revise my plays constantly. Even after they’re published, I revise each play for every new production. But it is rare to revise a play during the run of a show. Usually, about halfway through the rehearsal process, the script is “frozen,” meaning we’re not allowed to make any more changes to it. Naturally, there are exceptions. I cut 14 pages from my play “Blame It On Beckett” during the final week of rehearsal before it opened at Abingdon Theatre Company, Off Broadway. Colin Speer Crowley has made a lot of changes to “Philosophus” since Best Medicine Rep mounted a public reading of it last year. The script we will be producing in February has six fewer pages than the one we read last year. That means it’s about six minutes shorter. I encourage audiences to use that time wisely. What’s the secret in the suitcase? Morogiello: Voltaire has stolen something from Frederick the Great — something that will embarrass the king. My character, the Baron Franz von Freytag, is responsible for capturing Voltaire and returning the stolen item. Just what that secret item is, you’ll need to buy a ticket to find out! How do you know if what you find funny will “play” on stage to a diverse group? Speer Crowley: One of the things I consciously tried to do with “Philosophus” is make the comedy very broad, rather than fitting a certain set type. I didn’t intend it just to be a Wildean parlor play filled purely with witty dialogue but little physical action, nor did I want it to be all Keystone Kops. I wanted to give the play a little bit of everything: some Oscar Wilde, some Benny Hill, some “Book of Mormon,” some Kaufman and Hart, all while throwing in some farce and even reaching back into burlesque/vaudeville. I think there’s something for everyone in the story, and it gives the actors a lot to work with. When did you write “Philosophus” and what was your inspiration? Speer Crowley: I wrote “Philosophus” in late, late 2015 and it was probably the quickest thing I’ve ever written. I (mostly) wrote it in between commuting to New York City (I live in Connecticut) over the course of two weeks. I wrote a version of “Philosophus” way back then (unfit for human eyes, although I may let a dog look at it) and then decided to revisit the topic years later. I just had success with another comedic play which led me to reconsider doing more comedic work. I had never done a purely comedic play, so I thought this would be as good a time as any, and I continued to love the historical setting and the colorful, comic operetta-like characters. What are the particular challenges when directing a comedy? Levin: Let me say up front that “Philosophus” is one of the funniest scripts I have ever directed, and working with Colin is a wonderful experience. I guess “making sure that it is funny” is too facile an answer. The challenge of doing comedy is understanding that it is more culturally based than tragedy. The audience has to be on the inside of the humor. 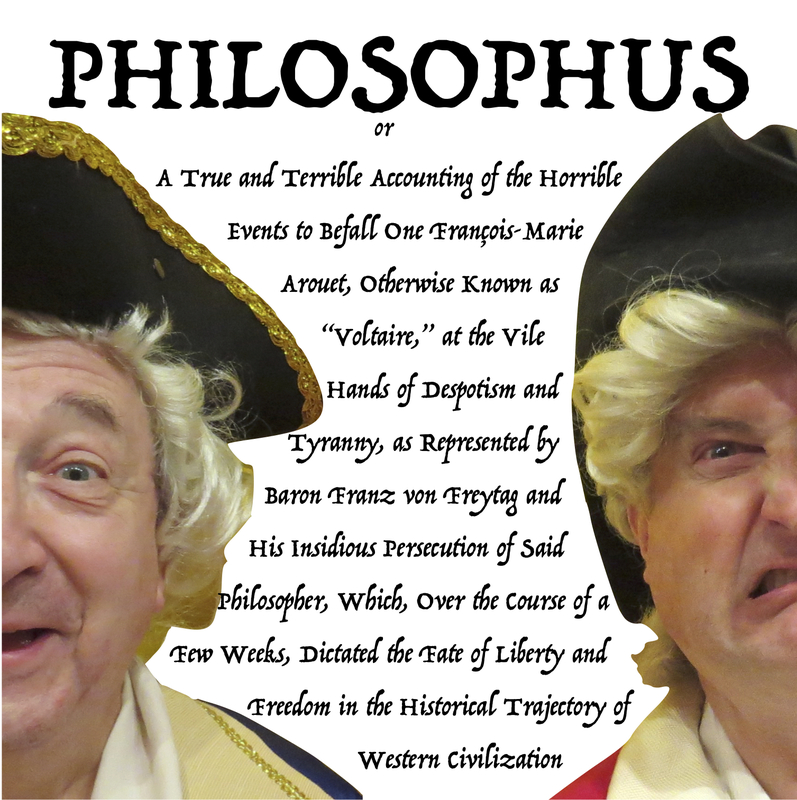 With “Philosophus,” a play ostensibly about Voltaire and his connection to Frederick the Great, Colin has written an extremely clever and funny play that resonates with our current political climate, whether the audience knows that Voltaire wrote “Candide” or not. This play is a true farce, down to slamming doors. Have you worked with Colin and any/all of these actors before? Levin: The quick answer is yes. Yes to Colin and yes to 80 percent of the cast; I’ve worked with four of the five actors before. I had the good fortune of meeting Colin when we did the reading last year. Four of the five actors in the current production were in the reading. My association with one of the actors goes back 15 years. What caught your eye about “Philosophus” and made you interested in directing it? 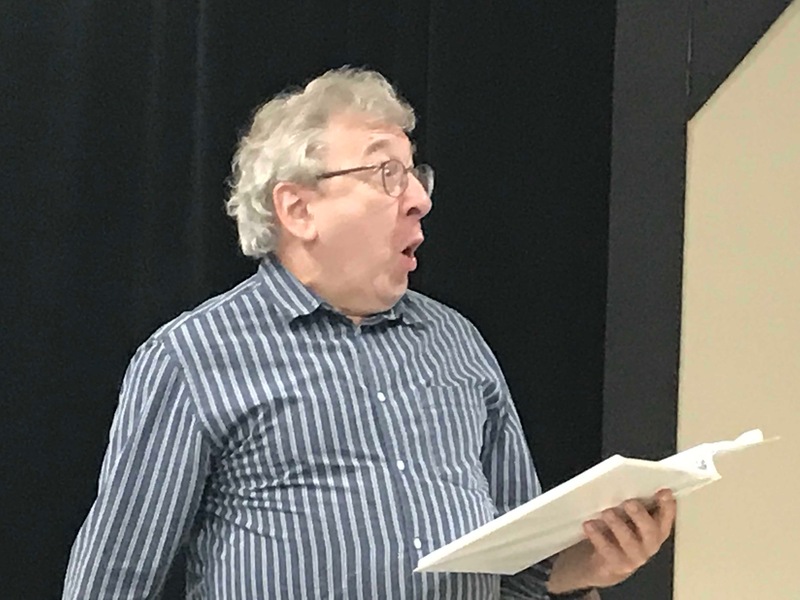 Levin: A year ago, John Morogiello asked me to direct a staged reading of “Philosophus.” As soon as I read the script, I said, ‘yes!’ It deals with the pomposity and duplicity of those in power, and how the powerless in society use their strongest assets — their minds. Plus, it is really, really funny. Best Medicine Rep presents “Philosophus” Feb. 1 through 24 on the second floor of the Lakeforest Mall, 701 Russell Ave., Gaithersburg. Performances begin at 7 p.m. Fridays and Saturdays, and 2:30 and 7 p.m. Sundays. Tickets — $25, $23 for seniors — may be purchased online at www.bestmedicinerep.org.